The pictures of turf on the package of grass fertilizer is ultra-high maintenance, and unless you’re a golf-turf manager, you’ll never achieve it. It needs watering, weeding, fertilizing, liming; top-dressing with compost, overseeding; receives lots of harmful chemicals to weed-and-feed (golf course turf isn’t subject to the same restrictions as homeowners), and needs a team of care-givers to accomplish all this. 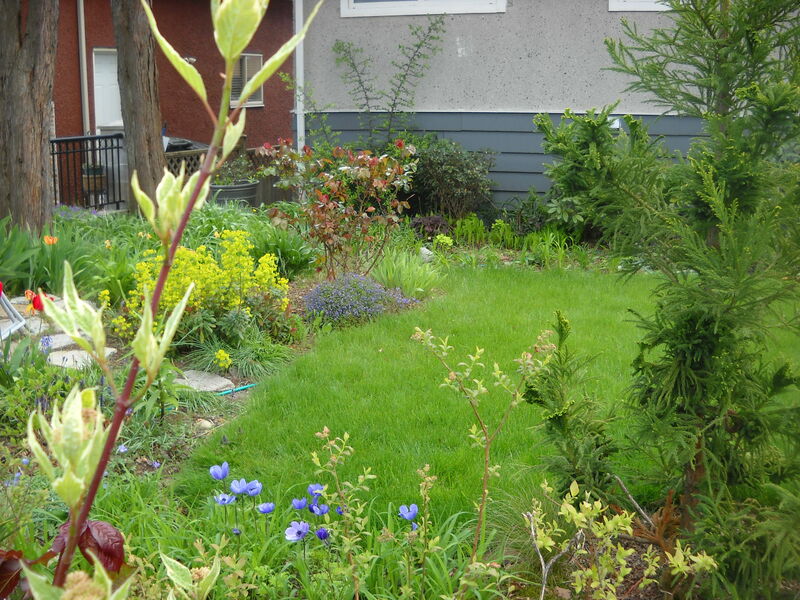 The first thing to know in planning your low maintenance lawn is that cool season grasses (“cool season” is what we have here in BC)—fescues, perennial ryegrasses, bentgrasses—naturally go dormant in hot weather. So not only is watering them through the summer a lot of work and environmentally unsound, it’s also illogical. The grass’s nature is to go dormant, so let it do so. Yes, it will look brown and sad, but it’s doing what it’s meant to do. And we have watering restrictions (increasingly restrictive!) requiring you to get up at 4 am. if you want to water your lawn during dry season! When the rains return so does the green—and very fast! And so does the mowing again. And now it’s getting colder and wetter, but you’re still out there mowing until winter. 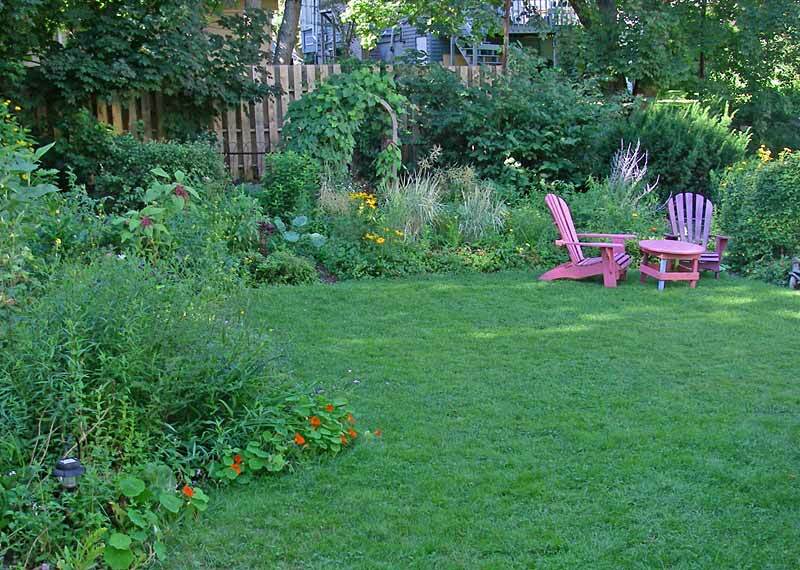 If you make that lawn a smaller portion of a greater concept garden, it will diminish in impact while the rest increases in impact. And be a lot less work. 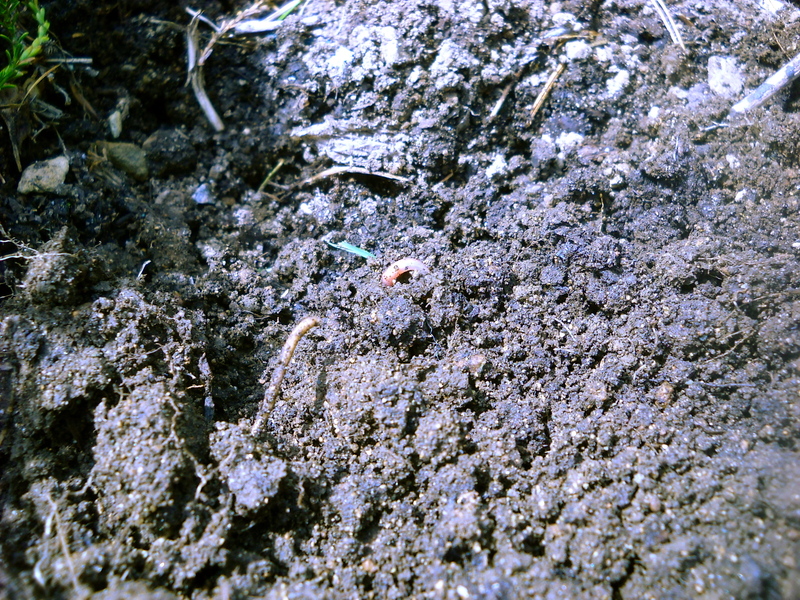 In our location—coastal BC— we have acidic soil. 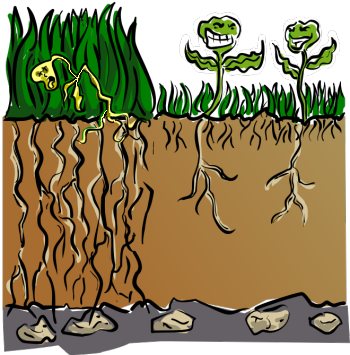 Turf grasses prefer neutral soil. So the lawn needs liming. I’m not going to go into the details of liming, just that it should be done in spring and fall. The alternative is to have a yard full of moss and buttercup. And grass that is walked on—what grass isn’t? 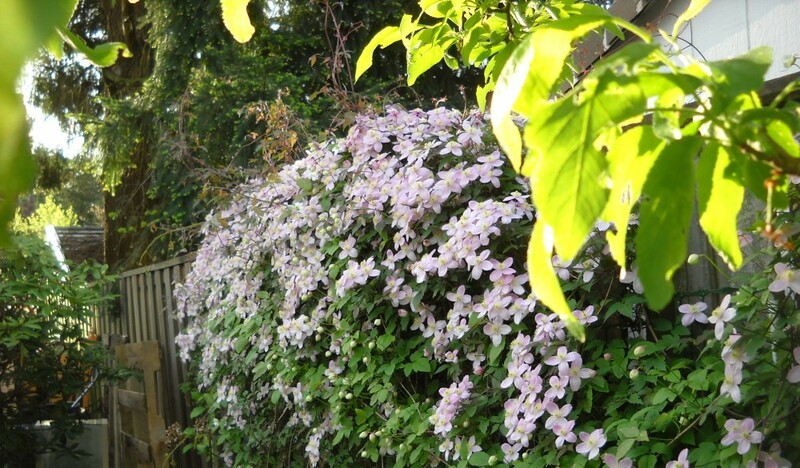 It is inviting bare feet to enjoy it!–gets compacted and needs aerating every year or two. Sun exposure and moisture levels determine not only what seed to use, but whether grass will grow at all. If you have cedar trees (Chamaecyparis, Thuja, Juniper), you will constantly fight to establish grass nearby, both because of the shade, and the fact that the trees are VERY THIRSTY. There’s not much water left for poor little grass plants. Douglas firs are similar, and they have a wide canopy. Ditto most large maples. You can see the cedar trunks on the left, about 10′ from the edge of the grass. 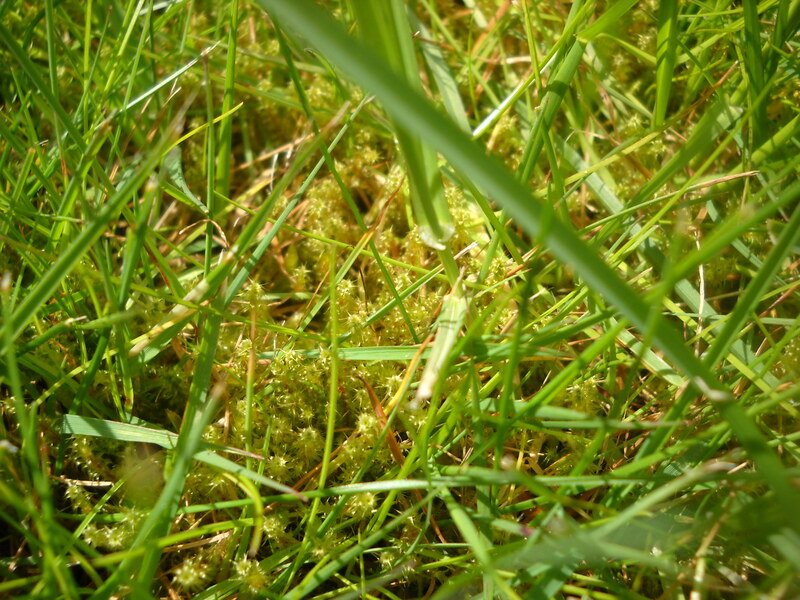 When I moved in, that’s the line–well beyond the drip line of the trees–where grass stopped growing well. 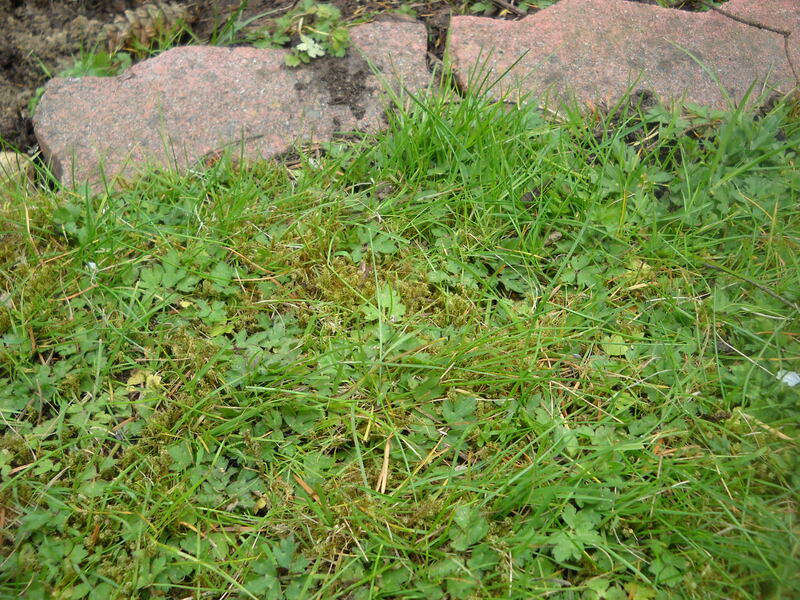 That’s where I edged the lawn–then tried to figure out what else might be happy there. 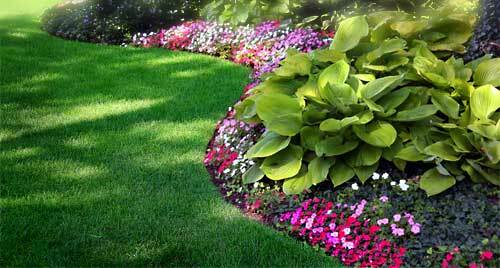 Don’t try for a “picture-perfect” lawn. As I pointed out in a previous post the weed-free, golf-course-looking home lawn is a pretty recent development. 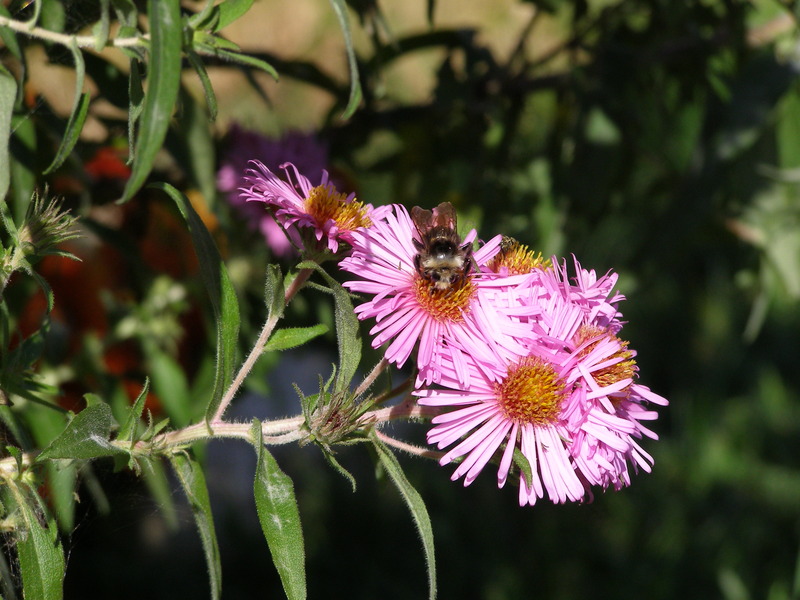 If you lower your standards a bit and allow some other, non-grass plants (sometimes called “weeds”) to co-exist, you’ll reduce your workload exponentially. I’m all for Dutch White Clover. Yet, unless I’m down at nose level, it looks pretty good. To me at least. Don’t fight with what you can’t change. 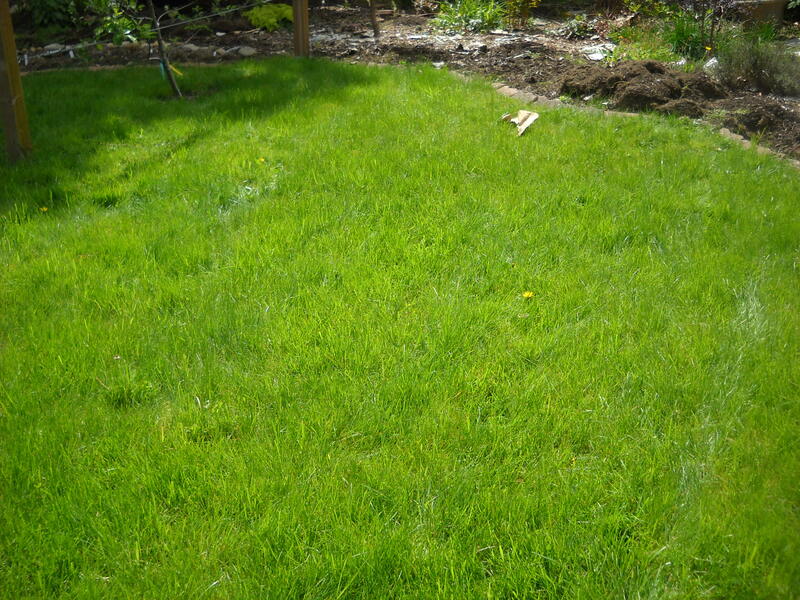 Unless you’re willing to cut down large thirsty trees, plant something other than “lawn grass”. Don’t expect to reproduce the lawn picture on “Weed and Feed” fertilizer bags. 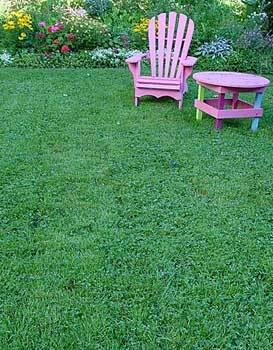 Let lawn go dormant in summer. Make your lawn space small. 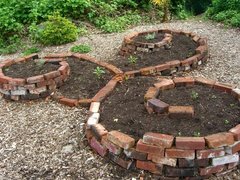 Let other plantings dominate.